"Kaabil" and "Raees" were termed as one of the biggest box office battles of 2017 but Hrithik Roshan is happy that his film has been loved by the audience and critics alike despite the competition at the box office. The actor, however, feels such clashes are not good for the film industry and fans. Rakesh Roshan had expressed displeasure over this box office clash of "Kaabil" and "Raees" and the actor says his father merely wanted to protect the film industry from the clash as producers suffer financially. "He (Rakesh Roshan) was talking about equality. These are things human beings have been fighting for since we have gained consciousness, freedom and equality," Hrithik told PTI. "My father is talking about the progress of the industry, producers and for people, who can't watch two films in a week on big screen with family as it costs money. So, it is better for everyone that these (big) kind of clashes don't happen." 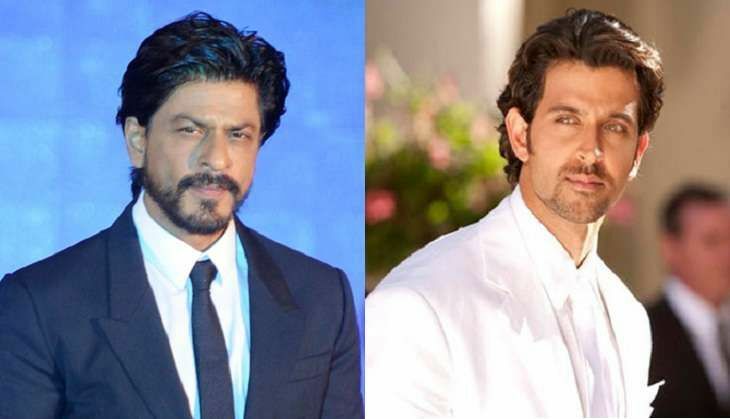 Both SRK and Hrithik's films have been received well at the box office but the actor feels two big budget releases create unpredictability. "There was lot of uncertainty this time because of the clash. If it was a solo film, we would have been on predictable note but because of the clash there was uncertainty," he says. "But now the uncertainty is turning into certainty with all the feedback and love that we are getting. It comes to down to the same thing - if the film and content is good it works, you get rewards no matter what," he adds. The 43-year-old actor, however, insists there is nothing much an actor can do in this as these are trade decisions. "It is not for me to say. I have nothing to do with it. I am an actor and my focus was to better my work. Everything else is a story. If someone tells me anything about this person or that person its a story for me. I don't get affected by it," he says when asked if the clash between "Kaabil" and "Raees" should have been averted. Despite losing out on business, releasing two big films at the same time is not new to Bollywood, it has happened in the past and it might continue as well this year. Last year Hrithik's "Mohenjo Daro" released along side Akshay Kumar starrer "Rustom" and the latter came out as a winner of box office tussle. Ask Hrithik if he would now try to avoid clash of his films with others, he says, "This is not in my hands alone, it is in the hands of executives. There is a rule that if we clash then we straight away divide it 50:50 (referring to screen space)." "So, there is no 80:20 or 60:40 and if you follow 50:50 then the clash will stop automatically. That's the best way," he says.